Skirmisher Publishing has released their first book for the BASH fantasy RPG system. 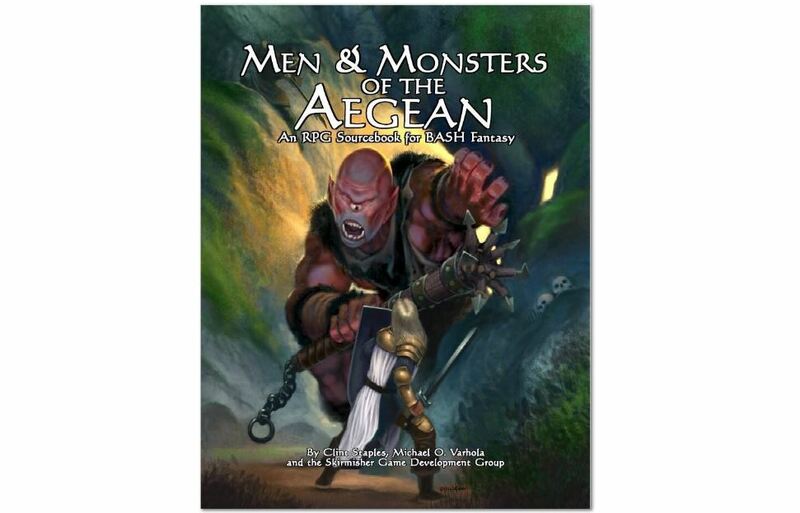 It's Men & Monsters of the Aegean and it puts players into a mythological Mediterranean, full of classic monsters, heroes, and other beings. 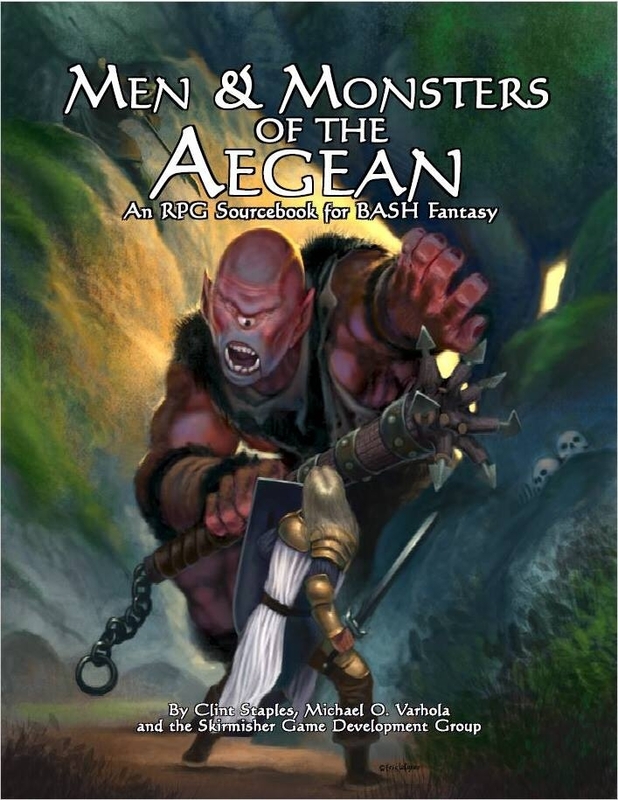 The book contains a dozen player character races, giving you lots of choices to make your adventuring party unique. And if you have adventurers, you've gotta have something to fight. That's where the thirty monsters come in, including favorites such as the cyclops, manticores, sphinxes, and many others that don't get as much time in the limelight (like drakon, empusa, and the sea leopard).